St. Patrick’s Day falls on a Friday this year so this means that there will be a long weekend of St Patrick’s Day celebrations in March 2017. Here at the balloon party, we can help you decorate your Paddy’s Day party venue with our brilliant Paddy’s Day balloons. Order any of these balloons on our site balloonparty.ie and then collect your order at any of our 6 locations across Ireland. Our foil balloons can be ordered in 3 different styles. It is 5.95 euro for 1 x foil balloon with ribbon and weight, 17.50 euro for 3 x foil balloons with ribbon and weight or 29.50 euro for 5 x foil balloons with ribbon and weight. 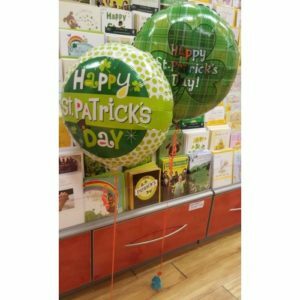 Personalised balloons are suitable for any occasions so why not decorate your St. Patrick’s Day party venue with our personalised balloons. Just send us an image and text of your choice and then we will create the perfect balloon for you. 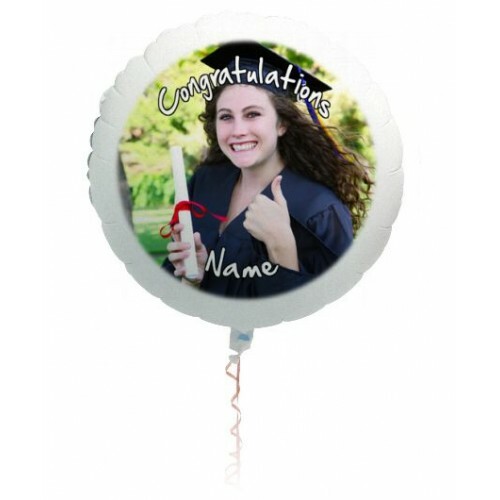 A personalised balloon is currently priced at 18.95 euro. 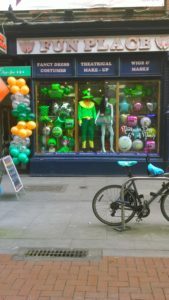 Balloon arches and towers can be created at our Dublin stores. 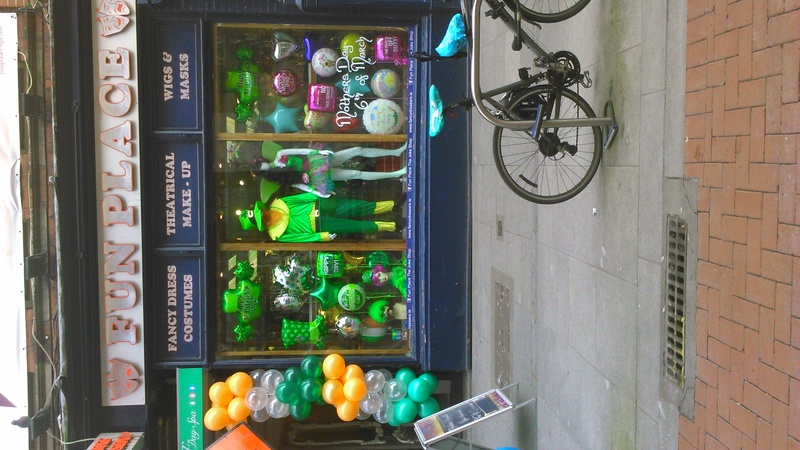 Last year, Fun Place created a brilliant green, white and gold balloon tower for Paddy’s Day. See image below. For prices for balloon towers and arches, email us at talktous@balloonparty.ie or contact any of our stores.